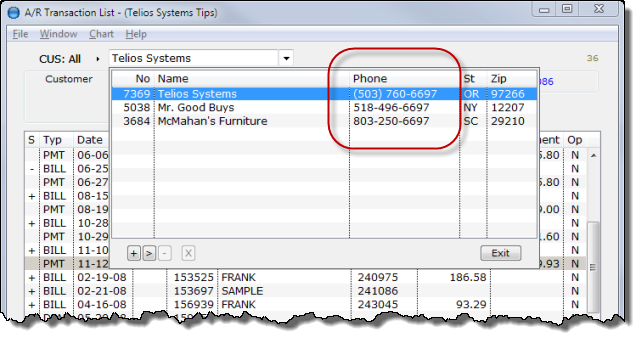 We got a request to be able to lookup the Customer or Vendor by the primary phone number. Since we are already using the lookup by number, the new lookup by phone number uses a ‘#” (pound sign) as a prefix to indicate a phone number. The popup will display all the customers or vendors with a matching phone number. Archive records are skipped with this option.